We are offering to our valued customers a wide range of Generator Spare Parts such as Generator Spare Parts which is acknowledged for its durability, dimensional accuracy and sturdiness features. Our range is available in various specifications, which is ideal for various diesel generators. Customers can easily avail this product from us at reasonable prices. These Generator Spare Parts are made from premium material and are highly sought after in the market for critical functionality and top grade efficiency. These Generator Spare Parts are fabricated using advanced technology. The extensive range of Generator Set Spares that we offer is equipped with design that meet the varied requirements of the clients. 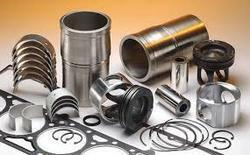 We are leading supplier, whole seller, dealer and distributor for Bulk and Corporate Orders in India, wide range of Kirloskar Engine Spare Parts that we offer are unmatched in quality and performance. These are stringently checked on various parameters at the time of procurement to ensure its quality compliance with the required industry standards. Our range is also offered in various specifications as desired by the clients. Moreover, we offer these spares at industry leading prices. Packaging Details: Packing in box. HA294, HA394, HA494T, HA694T, RB33, 3R1040, 4R1040, 4R1190, 4R1040T, 6R1080T, 6K1080TA, 6SL1500TA1, DV8SR1, DV8, DV10, DV12, DV12SR1 air cooled & water cooled generator, pumpset, JCB Machine, Concrete Pump spare parts Available with us. Our organization has developed expertise in offering quality range of Other Genuine Spare Parts of our product range. 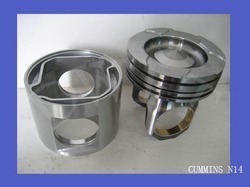 We are dealing in both bulk and retail order of Cummind spare parts. There is a way we work that gives a new perspective to business. The way we manage that brings a new meaning to business relationship, We strive to give you the best without compromise. for this your support is invaluable so not only your compliments but also problems, queries and inquiries are welcome. Please give the correct part no. for availability of parts. 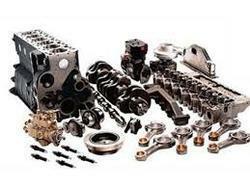 We are leading supplier, whole seller, dealer and distributer of a wide range, Our company is highly instrumental in offering a huge assortment of Spare Parts For Tractors. We offer a wide array of spare parts for all Tractors. These spare parts are thoroughly checked in our internal quality control unit by our quality controllers. Thus, these spare parts offer optimum durability, reliability and performance. Keeping track of the latest market developments, we are introducing a precisely engineered range of Kirloskar Parts . We provided this kirloskar in various technical specifications as per the requested requirements of our esteemed clients. The offered kirloskar is manufactured using the best quality raw material and modern technology. Moreover, our quality examiners test this kirloskar in order to eliminate any kind of defect in it. 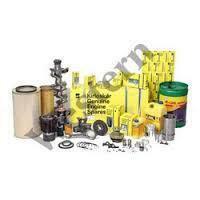 The Kirloskar Generator Spare Parts that we offer are unmatched in quality and performance. These are stringently checked on various parameters at the time of procurement to ensure its quality compliance with the required industry standards. Our range is also offered in various specifications as desired by the clients. Moreover, we offer these spares at industry leading prices. 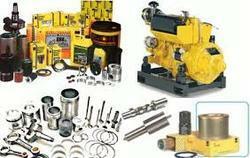 Looking for Kirloskar Generator Spare parts ?